Grove Menus is a web-based menu planning solution that allows users to write daily or weekly menus and control production costs by tracking food requirements and the meals ordered by the residents. Primarily developed for assisted living and nursing homes facilities, the solution is also suitable for adult family homes, independent care centers, memory care, group homes and more. Grove Menus helps facility supervisors to plan and share menus with their residents and generate order lists. Residents can then pick the meal they want to order for that day. The solution calculates the exact amount of food required to prepare the order adjusted to recipes chosen and production amounts put in for each recipe. This helps to minimize surplus ordering of food material and eliminate food wastage. The solution offers an intuitive drag & drop interface for selecting recipes, understanding the quantity required for one meal and its cost per day. The solution allows for scaling up production based on the number of residents or the desired number of servings so that production in-charge knows about the order quantity in advance. Grove Menus also tracks the weekly ingredient intake of residents on a spreadsheet based on the meals consumed for that week. Grove Menus is offered by US-based developers and caters to over 800 small & large facilities nationwide. Some of its listed customers include Patriot Living, Dining Services-Edgewood, and Alameda Elder Communities. You just can't go wrong with Grove Menus! I first use Grove Menus in Idaho at a Assisted Living Facility. After moving to Nebraska and once again running an Assisted Living Facility one of the first things I did was contact Grove Menus. In just the last week I had my state survey. I am happy to say that the menus passed with flying colors! The production sheets were a big hit with the state! My residents love the choices and can even help us pick and choose our menu for the week with ease making it a fun activity! The Shopping List is the best. The Grove Menus have saved us so much on my food budget which is a big plus. You just can't go wrong with Grove Menus! Everything is there at your finger tips. Contact Grove Menus for pricing information or a quote. 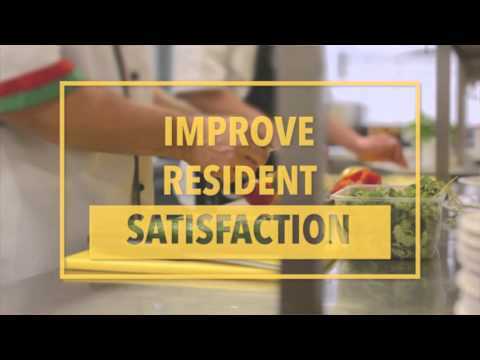 •	Grove Menus includes pre-built dietician approved menus for residents, which allow facility supervisors to save time on planning a different menu every week. •	The ordering list gives an estimation for the amount of food to be ordered for a week based on the menu selected by the supervisor or the residents. •	The solution gives an estimated cost per serving for all recipes with an estimated total for each meal or each day. •	Grove Menus also offers a printable tray card system for nursing home facilities that easily integrates with the daily menu. •	Supervisors can track & monitor the daily ingredient intake of their residents through an integrated spreadsheet feature. Below are some frequently asked questions for Grove Menus. Q. What type of pricing plans does Grove Menus offer? Q. Who are the typical users of Grove Menus? Q. What languages does Grove Menus support? Q. Does Grove Menus support mobile devices? Q. Does Grove Menus offer an API? No, Grove Menus does not have an API available. Q. What other apps does Grove Menus integrate with? Q. What level of support does Grove Menus offer? Q. Which apps is Grove Menus compared to most often?